This past weekend, that dream was realized with the opening of the National Comedy Center. The National Comedy Center is now the first non-profit cultural institution and visitor experience dedicated to the art and hilarity of comedy. 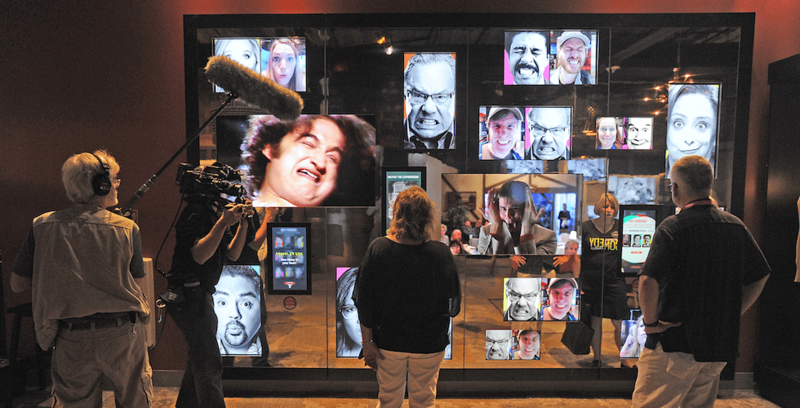 The new 37,000-square-foot, $50 million facility tells the story of comedy from past to present, with over 50 immersive and interactive exhibits and comedy artifacts. The week-long grand opening celebration featured talents like Amy Schumer, Lily Tomlin, a tribute to the original “Saturday Night Live” cast with Dan Aykroyd, Fran Drescher, comedians Lewis Black, Judy Gold and more. The event kicked off with a ribbon cutting ceremony by Andrew Cuomo, Governor of New York, and featured Aykroyd riding to the front door of the National Comedy Center on his motorcycle before donating it to the museum. Family members and representatives of legendary comedy figures also attended, including those of George Carlin, Andy Kaufman, Harold Ramis, Allan Sherman, Lenny Bruce, Shelley Berman, Ernie Kovacs, Rose Marie, Jonathan Winters and Rusty Warren. To learn more about the National Comedy Center, and to plan your visit, check out ComedyCenter.org. How exciting, I’ve been through Jamestown, New York and they definitely embrace Lucille Ball and her legacy. Having the Comedy Museum/Center there is a wonderful idea and a great idea!!! I can’t wait to be able to visit and here about all the wonderful things that will happen there. Congrats to the Comedy Industry and to Jamestown, NY!! !